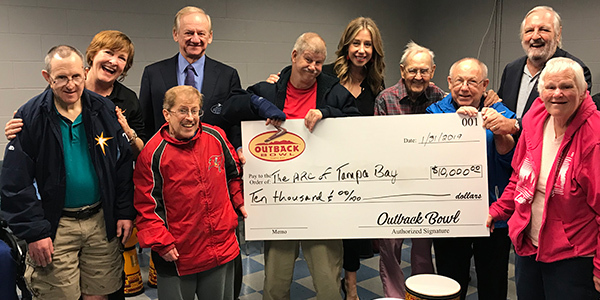 In additional to contributing millions of dollars each year to universities, now at $149 million over the history of the game, the Outback Bowl began a specific Charitable Initiative in 2016 to also provide funds each year to non-profit organizations either based, or with a large presence in, the Tampa Bay area. 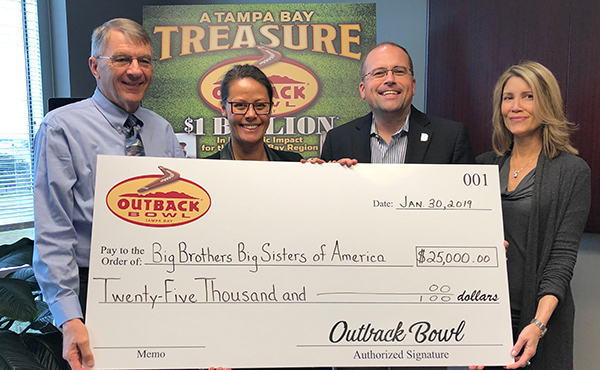 Since beginning this program just a few years ago the Outback Bowl has already donated over $1 million to 90+ deserving charities, including $500,000 in 2019 alone. 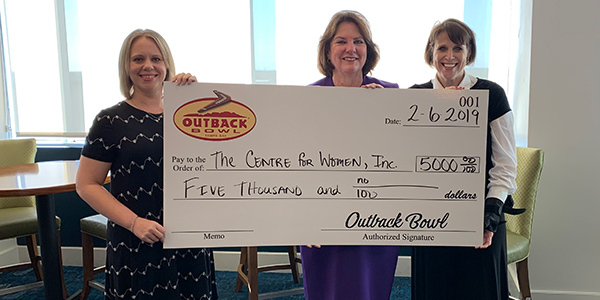 And it is committed to contributing at least $500,000 annually in future years. 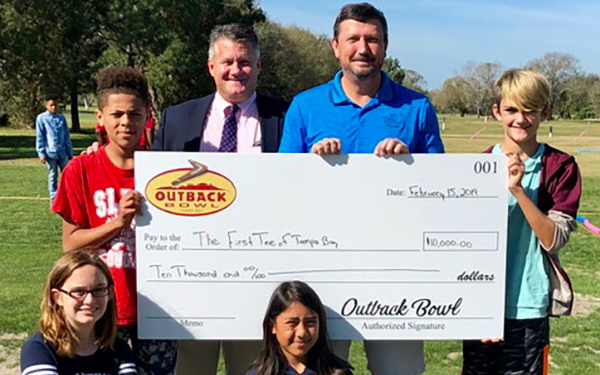 Community Action Stops Abuse Inc.
Emerald M Therapeutic Riding Center Inc.
Make A Difference Fishing Tournament Inc.
St Vincent DePaul Society, Inc.